Our Spring/Summer curriculum, When I Grow Up: Joey Gets a Job, has children exploring professions through music. Each week, we'll meet a new instrument of the orchestra and play songs inspired by the career of the week. 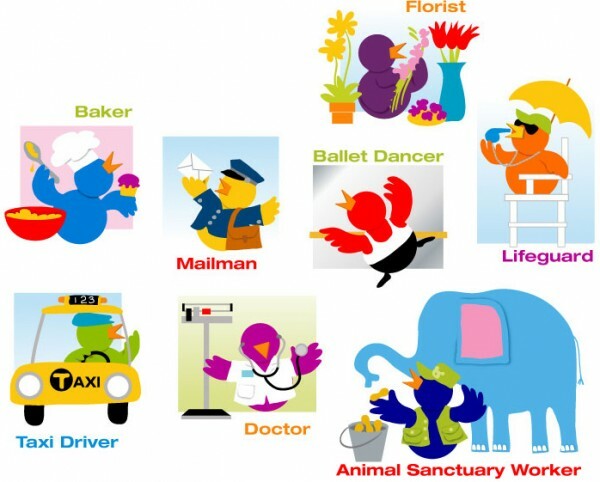 Some of the jobs Joey is trying: Florist, Baker, Mailman, Ballet Dancer, Doctor, Taxi Driver, Animal Sanctuary Worker and Lifeguard. Musical selections include classical hits by great composers, children's songs everyone knows, and a mix of popular music including Broadway, Rock & Roll, Pop, and more. As always, our classes target development goals through play!